Sharpener for HSS drills “DRILLY 1” from Ø 3 mm. to Ø 20 mm. Sharpener for HSS drills “DRILLY 1” from Ø 3 mm. to Ø 20 mm. Professional portable sharpener for HSS drills from Ø 3 mm. 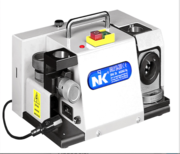 to Ø 20 mm., with CBN interchangeable grindstones - code SA-2000-CBN The sharpener is composed of: •	Nr. 1 Machine body •	Nr. 1 CBN grindstone (interchangeable) to sharpen HSS drills •	Nr. Are you looking to keep insects and intruders out of your home, then look no further than Down Under Screens. We have a large range of screen doors Brisbane wide including the best security screens Brisbane has.. It is a very nice job for workers to make accurate line positioning with high power 100mW blue line laser module. On basis of its high output power, this laser line alignment tool is workable for very long time work distance and high lighting working occasions. 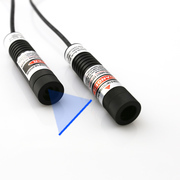 For the most important of all, in order to make sure of extremely high straightness line targeting, blue laser module chooses qualified separate crystal lens, within wide range work distances, blue laser line keeps high uniformity and high fineness. Scrap metal prices in Sydney are soaring by leaps and bound, giving you good reason to sell your scrap to a reputed dealer. Sydney Copper Scraps takes pride in being the most trusted dealer that offer the best scrap copper prices in Sydney and its suburbs. Bring in your scrap metal to get instant cash in return. In quite darkness working occasions, it is not an easy job for users to make dot projection with a simple sticker or laser pointer since nothing is visible to eyes at all. Under night vision illumination work fields, the adoption of 808nm infrared dot laser alignment always brings users quite precise and accurate infrared laser dot on all desired working surfaces. 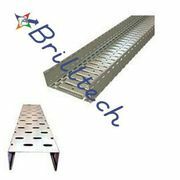 As popular ladder cable tray manufacturers, suppliers and exporters, we are well-known in the market because of the quality product, after sale services and affordable price. These types of cable trays are widely used in various industries to support power cables. For information, visit our Official website:-http://www. Brilltech Engineers Pvt. 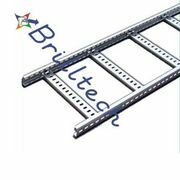 Ltd is renowned galvanized cable tray manufacturers, suppliers and exporters from India. 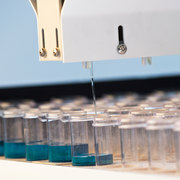 Backed by our in-house manufacturing facility loaded with the latest technology, we are committed to providing unmatched and quality tests pass product at your doorstep within the promised time frame. R.D Electric Works gain huge appreciation from its clients to offer a quality servo voltage stabilizer in Ghaziabad at the best price in the industry. 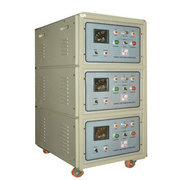 Being leading manufacturers, suppliers and exporters of servo voltage stabilizer we give special attention to its quality and never give you a chance of complaining. When 532nm green line laser module is equipped with quality glass cylindrical lens or separate crystal lens, no matter what kind of working surfaces, green reference line targeting always keeps extremely high straightness and fineness. Comparing with common plastic coated lens, this laser line alignment tool always gets the best performance on all targeting surface. New Bridge Services is a specialist company that provides engineering and equipment solutions to a diverse range of industrial equipments. The company holds an expertise in numerous areas requiring process and mechanical design, along with turn-key construction, manufacturing and distribution. Delivering high quality products remain the sole aim of the clients. At New Bridge Services, the professionals pride themselves on the ability to maintain a high level of service whilst providing the Australia’s largest range of industrial products including cattle yard panels. Since the company buys direct from the sellers, they promise to provide high quality materials at a competitive price. New Bridge Services is the peak industry body in Australia which is concerned with the mining equipment in Australia and various other industrial products. The company is aimed at promoting the advancement and competitive positioning of Australian technology and collaboration along with the technology in various industries. Are you looking for pipe bending service? The Industrial Tube Manufacturing Australia offers you high tech CNC for a complex and perfect pipe bending. Hire our services now at very reasonable charges. Call us now for a quick service. For more information, you can visit our site >> http://www.steeltube. Product Description: More new features and functions make the GPX 5000 the best gold detector in the world. The GPX 5000 sets the new benchmark in gold detecting technology. With an amazing range of features and functions the GPX 5000 is not only superior to its predecessor, the GPX-4500 and is in a class of its own. DS Custom Toolboxes is based in Campbellfield. We manufacture and supply toolboxes like truck tool boxes, ute boxes, aluminium tool boxes & custom tool boxes. DS Custom Toolboxes also offers powder coating in house which also minimizes the wait time and no need to send out our work, your order, to another company, which means the buck stops with us. Are you looking for Vending Machine on sale in Melbourne? If you are in search of vending machine for sale in Melbourne and if you want to buy best drink vending machine, here is the end of your search for high quality vending machines. We offer sustainable vending machines for sale and help you start your own vending machine business in Melbourne. Call us on 1800 28 26 22 to buy best vending machines today!. Smart Vending Machines is an Australian owned, Progressive company. We have automated solutions to increase your business's profit. We also allow you to publish paid advertisements to give you a better understanding of touchscreen and multimedia interactivity. 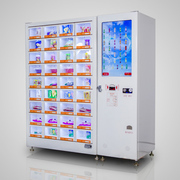 Moreover, we are providing services like free vending machine supply, installation, delivery and maintenance. Design Edge is a home of skilled designers who are well-versed with a range of software and CAD. They add innovation and creativity, high quality design aesthetics and maximize end-users contentment. It is unlikely that you will find someone so proficient in software and computer skills somewhere other than a trustworthy industrial design company. 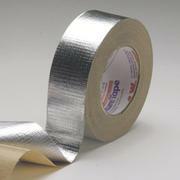 Duct and HVAC projects require a tape that will survive the temperature fluctuations that these systems cause. The only choices that meet industry standards are duct tape and aluminium tape. Both are available from ATA Distributors. They are the best choice for largest selection of widths, densities, and tap durability. 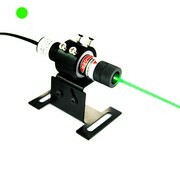 In all lighting work occasions, it should be the best recommendation for users to select high brightness green dot laser alignment. It makes wide selection of laser wavelengths of 515nm, 520nm, and 532nm, generating highly visible green reference dot on all desired working surfaces. Although users are required to make dot projection under sunlight, high power green laser module with output power of 30mW is able to fulfill the need. An aptitude to raise capital, nurture the business through technology and on-line software, draw efficient employees and generate a flourishing, lucrative organization is built on the brand equity.WaiveStar has an interest to design and detail with reliable service. Interested businesses may dial 03 9487 2100 or send a thorough email at enquiries@waivestar. Make some natural investment for your home or for your business in Solar Energy with reliable Solar System Installers. Call 1300 244 743 to get a quote. contact us:- http://qcsolar.com.au/ Queensland Commercial Solar Gold Coast Queensland Burleigh Heads 4220 1300 244 743 Australia. 60 105 271 663 Nashco manufactures and supplies custom lightweight steel wall framing & suspended ceiling systems for the drywall & facade Industry in Canberra, Australia. Visit Us:-http://nashco.com.au/. Toolfix offers the best range of blind rivets for both domestic and commercial applications in Sydney. Although as a general industrial supplier that can source almost anything that you may require, we specialise in blind rivets, rivet tools and thermos tools. Our range of blind rivets are manufactured using high grade, industrial materials that ensure longevity, robustness and corrosion free lifespan. Toolfix Fasteners is well known industrial tools suppliers company in Sydney. We offers wide range of best quality diamond core drill tools used in industrial and commercial services. Some Diamond Core Drill Tools are Listed below: 1. Eibenstock Diamond wet-dry Core Drill ETN162/3 2. Eibenstock Diamond Core Drill Motor EBM182/3 3. Industrial Tools & Equipment Australia ads Australia, Industrial Tools & Equipment classifieds Australia, Industrial Tools & Equipment free ads Australia, ads for sale Australia, ads to buy Australia, FREEADSAustralia Page number 7-1. Find here ads for sale, to buy and rent in Australia. Goods for sale in Australia, vehicles for sale in Australia, Australia real estate for sale, Australia property for sale, property for rent in Australia, business ads in Australia, Australia business classifieds, services in Australia, Australia services ads, jobs in Australia, pets for sale in Australia, Australia dating, Australia cars for sale.